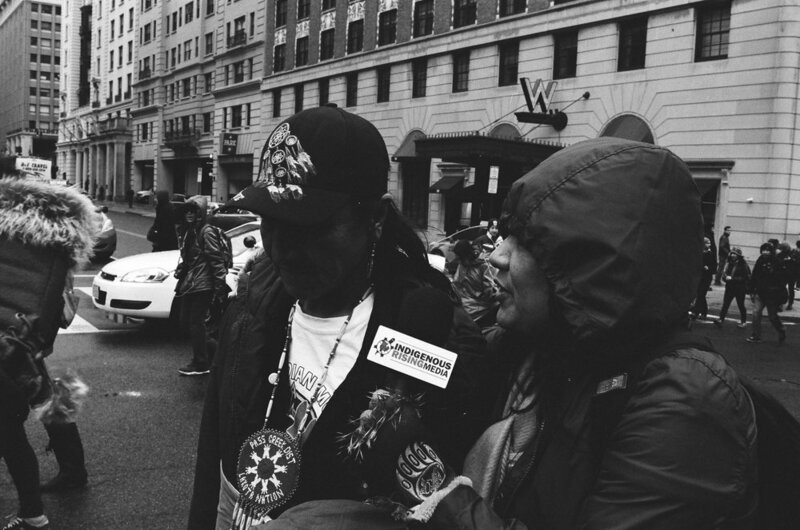 On a cold, windy, and slightly snowy morning of March 10, 2017 indigenous people came together as one large, powerful voice marching on Washington, D.C. to support the Standing Rock Sioux Tribe to protect Unci Maka (Grandmother Earth) and the water, Mini Wiconi. I wanted to be there in support and solidarity and to document this peaceful call to action. The march was an ongoing struggle in the fight against The Dakota Access Pipeline, oil drilling, fracking, strip mining, on native lands. 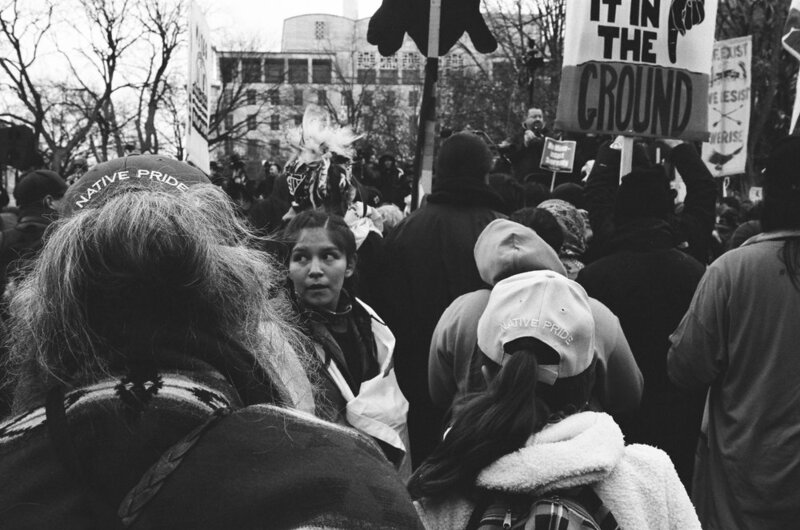 Thousands of people marched in support of our indigenous brothers and sisters for indigenous rights and sovereignty of native nations. 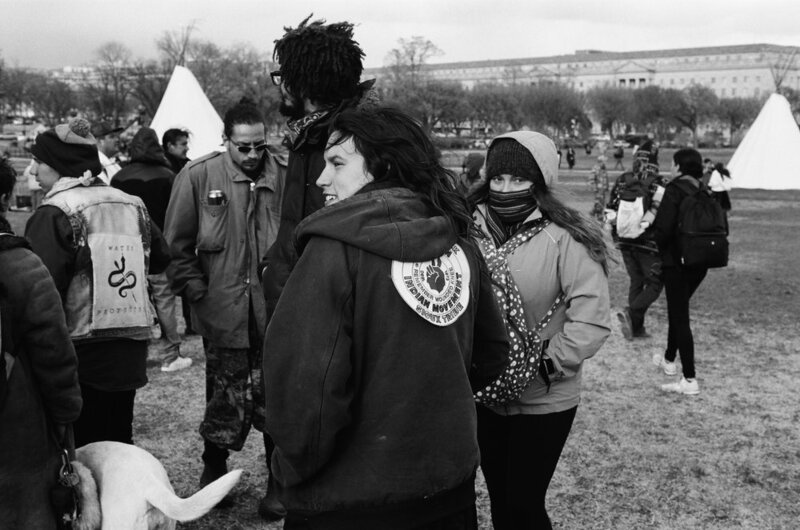 I documented the march using a Nikon FE and Kodak Tri-X film. I do feel that when documenting, black and white film puts the best spotlight on the story you're trying to tell, without color to get in the way. Its tones can be beautiful, minimal, stark, powerful. It presents things as they are, all there in black and white. I hope the images from the march sends a message, express a feeling and above all I hope they respectfully tell the story. I do believe if we don't protect our earth, our water and pay heed to the warnings that science has given us... then it's a wrap! I believe indigenous people are in tune with Unci Maka (Grandmother Earth) and have been way before any of the rest of got here. Let's listen, learn and follow.